Kids, Cows and Grass: Summer fun with kids & cows! Summer fun with kids & cows! Summer is a crazy time for most families. My family is often working side by side in the hay field or taking care of cattle. But we do make time for one traditional family experience every year...the National Jr Angus Show! This year we traveled to Louisville, Kentucky. Below are some pictures from that week-long family event! 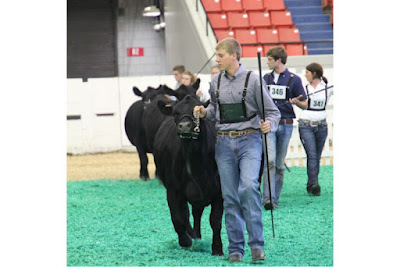 One of my boys showing his heifer in the ring. LOTS of amazing heifers at this show! Here comes my other son parading his gal for the judge! My daughter represented Kansas in the National Showmanship Contest! We are so proud of her!! An important part of NJAS is making friends from across the country who also love Angus cattle. My boy seems to have found a real nice new friend! My oldest daughter Meghan is on the board of directors for the National Jr Angus Association and those 12 kids walked the soles off their boots all week at NJAS! Great job, Meg and all the board members. 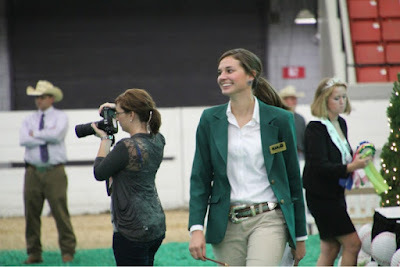 NJAS was awesome! The Certified Angus Beef Cook-off is a highlight for our family...one of my boys is the redhead in the tutu! He is Tinkerbell--I promise to explain this whole thing in another blog post!! My babies are 4 1/2 and 18 months. 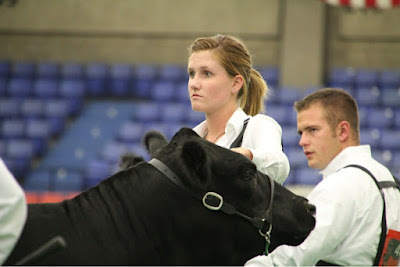 We went to our state Angus show this year and my girl got to show in the PeeWee class. 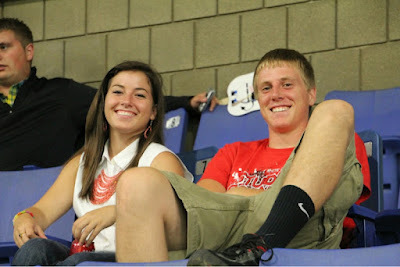 I can't wait till we can go to the NJAS. I love reading your blog.